Specialising in astounding pieces of magic using just a simple pack of cards. Humble in his approach Daniel's style will amaze and astound all who encounter it. Daniel's style, charm and charisma have seen him travel internationally including a residency at the world famous House of Illusion in Spain. After years of performance Daniel has polished timeless routines and excellent rapport. 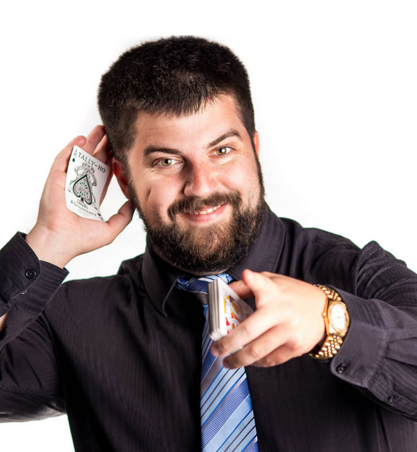 Daniel is widely regarded as ONE of the BEST Card Magicians in EUROPE ! This 60 minute show will simply astound you and you will never look at a deck of cards the same way again ! Astounding stuff not to be missed !